The chubby, soapy-shaped Xperia won't be winning any design contests this season, but it feels solid and sturdy in the hand. It is quite thick and light, which, coupled with the soft-touch plastic on the back, makes it easy to grab and hold, though the 10.8mm chassis girth might be a turnoff. The back panel, which encompasses the sides of the phone, is removable, but the battery is, sadly, non-replaceable. The power/lock key, and the volume rocker on the right, offer deep tactile feedback, but the power key feels a bit wobbly under your thumb when you play around with it, as it's actually a part of the removable rear casing. Bright and color-accurate, the 4.7” display shines in everything but pixel density. Sony has been worrying that we've forgotten what a 540x960-pixel qHD display looks like, and is bent on reminding us that this type of resolution still exists with the Xperia E4g. We don't want to rain on its parade, but the 4.7” display returns 234ppi at this resolution, which might sound fine, but in reality small text looks interrupted, and icon edges are somewhat jagged – we'd certainly prefer at least a 720p panel at this price point. As for the other screen quality criteria, however, the LCD panel has them covered well. The color representation is nearly spot on, with only the greens running a tad afoul, but certainly not to the level you'd notice it. We measured the white point to be relatively close to the reference, too – at 6328 Kelvins, it is only slightly on the warmish color side. The good news about the display don't end here, either – it is very bright, at 508 nits, and has pretty decent viewing angles as well. All in all, despite the aging resolution, you won't be disappointed by the Xperia E4g display panel. Sony's Xperia UI hasn't made the jump to Lollipop in the Xperia E4g, staying on Android 4.4 KitKat instead, but at the time of this review the Z-series still don't have Lollipop either, so you won't feel alone and left out in that respect at least. The Xperia UI running on top of Android 4.4.4 KitKat has the same barren look we are accustomed to for a few Sony phone generations now. It has some light multitasking tools like the Small Apps suite, which lets you hover up to five windowed apps, resize and move them around, but that's about it. There is still a tight PlayStation integration – the Xperia E4g can be set up for remote play, as in being able to stream most of your PlayStation 4 games directly to the Xperia. Sony also offers the Xperia Transfer software that helps you move everything of matter from your old phone to the Xperia E4g. The Xperia E4g got futureproofed with a 64-bit processor that runs the UI with aplomb. Blasting quite good results on AnTuTu, the 1.5 GHz 64-bit quad-core MediaTek MT6732 chipset with four Cortex-A53 cores is also pretty good as a daily driver. The interface feels very fluid, with only the occasional choppy transition from one screen to the next to hint at the phone's price point. We'd digress to say that we've seen those on more expensive handsets, too, and they might be due to software optimizations, as the phone's ARM Mali-T760 MP2 graphics processor is a decent GPU for the category. The 1 GB of RAM memory isn't much for today's Android standards, but does the job, though sometimes there is a fair bit of wait for big apps to load or switch. 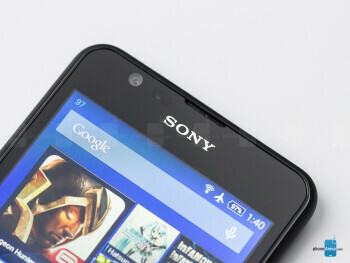 The Xperia E4g ships with the reasonable 8 GB of internal memory out of the box (about 4.8 GB user-available), and there is a microSD slot for storage expansion. With septaband LTE and Miracast support, the Xperia E4g is one of the most connected budget munchkins out there. Website rendering in the default Chrome browser is fast and there aren't extensive hiccups, even on heavier pages. Scrolling, zooming and panning around are all fluid enough, too. 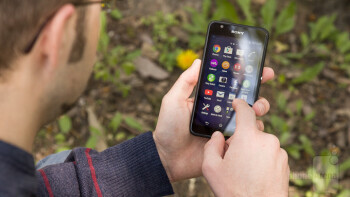 When it comes to connectivity, though, the phone doesn't disappoint, as it sports a 4G modem. The septaband LTE radio might not be a veritable globetrotter, but you can rest assured that it will come supporting whatever bands your carrier is floating – as long as you live in Asia or Europe, as these are the markets where the E4g is heading to, judging from the bands that the three model numbers of the E4g support. There is also the obligatory 42.2 Mbits HSPA+ support, Wi-Fi, Bluetooth 4.1, A-GPS, FM Radio with RDS, DLNA and NFC, while Sony has even thrown Miracast for mirroring your phone's display on a supported TV into the mix. Wired connectivity is done through the microUSB port at the bottom, and that's that. Flashy colors in pictures and video make for inaccurate, but enjoyable imagery, and the phone does smooth 1080p video, too. The 5 MP camera on the back of the budget Xperia sports a pretty narrow F2.8 aperture, but an LED flash on the back keeps it company, and the phone offers both HDR photos, and 1080p video – options that not every handset in this class can brag with. 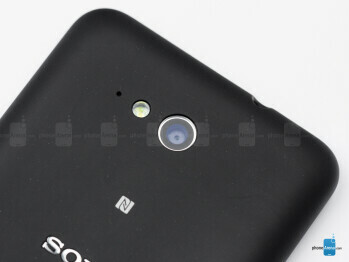 There is a 2 MP front-facing camera, too, that does 720p video recording. The Xperia UI camera app is very easy to use, with a bit too many options you are unlikely to use when you enter the Manual mode. You'd mostly be shooting with the default Intelligent Auto regime, though, which takes care of everything for you, so no complaints. Focusing and taking a shot take a while, though, at about 4-5 seconds between snaps, which might annoy those used to today's instant shot times. The pictures often come out with a tad unnatural colors, with intensified warm tones like red and yellow, that look more subdued in reality . The amount of detail is kind of low, even for a 5 MP shooter, and the frames appear soft around the corners, especially the upper left one. Other than that, the phone manages the white balance and dynamic range in a decent manner, and doesn't overexpose or darken the scene or individual objects in it. Indoors the situation becomes murkier, especially when the lights start to dim down, introducing soft, smudgy photos, with noise progressively increasing at lower light levels, and the situation especially bad when the weak LED flash had to illuminate the scene from about three feet distance. The 1080p video runs with fluid 30fps on paper, but has the occasional skipped frame here and there while panning around. Exposure compensation is relatively fast, while colors tend to be lively enough. For the phone's price point, both the snaps and the video footage will do you good. 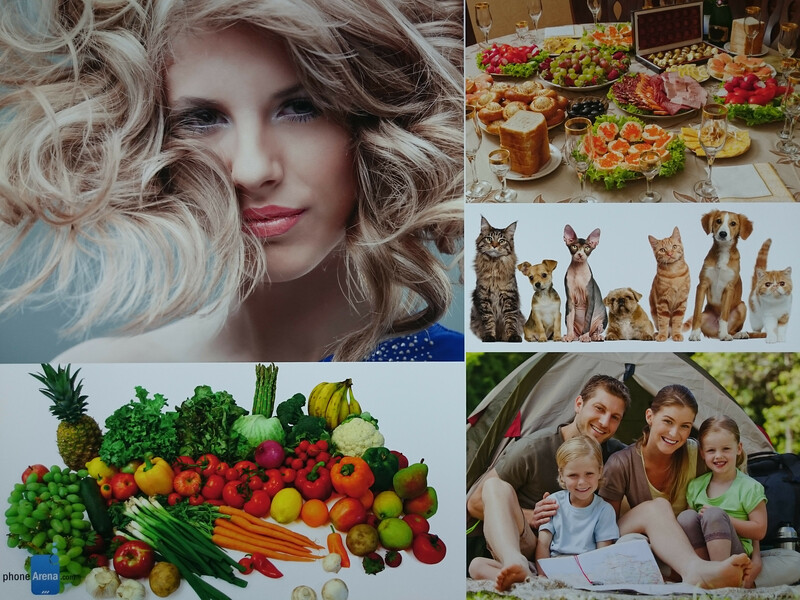 The stock Album app offers resizable grid thumbnail view, and allow for rich picture editing from within the app, as well as plenty of sharing options. Video playback is pretty decent, as the phone supports most popular codecs out of the box, and at up to 1080p resolution at that. The smallish screen and its pixel density won't be conducive to Game of Thrones binging, though. When it comes to the music player, the Walkman-branded one on the Xperia phone has proven itself with a sleek-looking, comfortable interface that offers plenty of equalizer presets for every mood swing. There is mock surround sound support when you plug in a headset, and the sole speaker is pretty loud, with a resonating enough chamber, so that it doesn't sound overly hollow or tinny. The earpiece of the Xperia E4g is strong enough to hear clearly on a crowded street, though there is a bit of echo to the sound at the highest volume. Voices are intelligible, and don't sound too compressed or robotic. On the other end they could hear us sufficiently loud, with the noise suppression mics duo eliminating background fluff, but a slight hissing and static noise occurs, plus the voices are relayed a tad hollow. 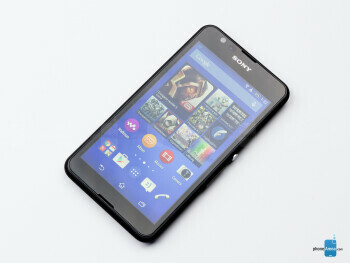 Sony's two-day battery life promise is now a staple for most of its handsets, even the budget ones like Xperia E4g. The 2300 mAh battery capacity might not sound like much, but it is Sony we are talking about, and this company has proven, in the last year or so, that it uses very power-efficient screen tech, and has the longest-lasting handsets of all major brands. Luckily, the Xperia E4g is no exception. Sony brags a “two-day battery life” for it, and up to 13 hours of talk time in 3G mode, more than a month of standby, 65 hours of listening to music, or 7 hours of video binging on a charge. During our own standardized battery benchmark, the Xperia E4g scored the excellent 9 hours and 6 minutes of screen-on time on a charge, indicating that Sony's “two-day” battery brag holds water indeed. For this kind of money you can opt for the Moto G LTE, with a larger screen and a stereo speaker set, though the weaker chipset means HD video recording only. 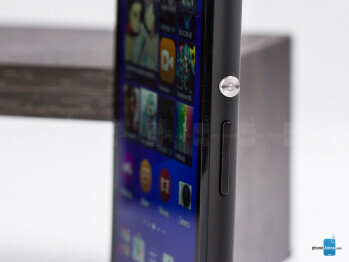 The Xiaomi Redmi 2 has the same screen diagonal, but an HD display and an 8 MP camera, though the battery life verdict would likely be in favor of the Xperia, and it's hard to obtain globally. Last year's Galaxy S5 mini is more expensive, and doesn't have a 64-bit chipset to show for it, while the same goes for the budget Huawei Honor 3C. Overall, Sony managed to concoct quite the fine phone for the category, and the branding on the back, as well as the global availability, only add to the perceived value of the Xperia E4g.